CURATIO HEALTHCARE PVT LTD NEOSKIN CREAM 50 GM Neoskin Cream 50 Gm - Buy online at best prices with free delivery all over India. Know composition, uses, benefits, symptoms, causes, substitutes, side effects, best foods and other precautions to be taken with Neoskin Cream 50 Gm along with ratings and in depth reviews from users. Product #: 5.0 stars based on 1 reviews 5.0 1.0 SOM Price: Rs.361.25 Rs.361.25	Available from: SAVEONMEDICALS.COM In stock! Order now! Slowly absorbed by the gut hence recharging the body while starving. Sunscreen lotions and lip balms to protect skin and lips from UV-B rays. Prevention of sunburns and premature ageing. It is used as emollient in various dermatological products due to its moisturizing and keratolytic (treatment of removing warts and lesions) effect. Preventing dryness and increasing smoothness. Swelling of face / tongue / throat. Hypersensitivity towards the drug milk protein or any other allergies. Hyper sensitivity towards the drug octyl methoxycinnamate or any other allergies. When muscles are unable to generate force over an extended period of activity or for some pathological issues, it is called muscle fatigue. The body muscles need oxygen to produce energy. But, when the muscles use up all the stored energy and oxygen, they start generating energy through a process that makes a waste product called lactic acid. As an amount of this acid increases in your muscle, you feel fatigue and experience pain. Muscle fatigue is associated with some potential causes such as ion imbalance in muscles, impaired blood flow, nervous fatigue, and an accumulation of lactic acid in muscles. It is a common problem in most of the people especially who are associated with sports. Sunburn is a skin condition in which the skin turns red, painful and swollen due to over exposure to the sun. It is a kind of a radiation burn that affects the skin and living tissues. It occurs when the skin comes in contact with the ultraviolet rays. Hair loss, also called alopecia or baldness, means a loss of hair from part of the body or head. The severity of hair loss may vary from a small area to the entire body. Typically scarring or inflammation is not present. Hair loss may cause psychological distress in some people. Common types of hair loss are male-pattern hair loss, alopecia areata, female-pattern hair loss, and a thinning of hair known as telogen effluvium. Indigestion is very commonly known as an upset stomach and is also called dyspepsia. Indigestion is when you have a pain or discomfort in the upper abdomen or the area under the ribs. This is a very common problem that afflicts most of the people at some point or the other. Indigestion occurs occasionally and most often, it is quite mild. Indigestion is not really a disease but a set of symptoms. It may also be a symptom of an underlying problem such as gallbladder disease, ulcers or GERD or gastroesophageal reflux disease. Indigestion usually occurs when the stomach acid comes in contact with the mucosa i.e. the protective lining of the digestive system. The acids break down the mucosa and cause inflammation and irritation and trigger the symptoms of indigestion. When the acid in the stomach moves into the esophagus, it causes a burning sensation behind the breastbone. This is known as heartburn. Sometimes, heartburn and indigestion can occur together or on their own. Psoriasis is a long-lasting autoimmune disease. In psoriasis, skin cells multiply 10 times faster than their normal. The volume of underlying cells, which reach the surface of the skin and die, causes red and raised plaques. These are covered with white scales. Psoriasis usually occurs on elbows, knees, and scalp, though it may also occur on palms, soles of feet or torso. There are mainly five types of psoriasis: plaque, inverse, guttate, pustular, and erythrodermic. A kind of injury that is caused by various factors like an accident, surgery and certain diseases is called a wound. The skin may get punctured, cut, or torn to form a wound. Wounds are classified into five categories, which depend upon their causes. Abrasion: When skin is scraped or rubbed against a hard or rough surface, Abrasion is caused. An example of an abrasion is a road rash. Not much of bleeding is there in abrasion, but one must get the wound scrubbed, and cleaned, to abstain from any infection. Incision: Incision is caused by a pointed or sharp object, like a razor blade, broken piece of glass, and knife. Incision causes a lot of bleeding. An incision, which is deep can cause damage to muscles, ligaments, and tendons. Laceration: A deep and rooted tear, or cut in the skin is called laceration. Accidental cuts with machines, tools, or knife may cause a laceration. In this, wound bleed extensively, and rapidly. Puncture: A small hole may be caused by a pointed, long object, like an ice pick, needles, or nail is called puncture. Even a bullet shot can result in a puncture wound. This wound is enough deep to impair the body’s internal organs, though may not bleed that much. A Puncture wound may need an immediate expert vigilance. In some cases, even tetanus is required to prevent the infection. Avulsion: An Avulsion is an extreme form of a wound. In this, the skin may tear away completely, or partially. This wound may occur at the time of a vicious accident like a gunshot, explosion, or body-crushing accidents. These wounds may bleed rapidly, and heavily. Muscle weakness: A common symptom of muscle fatigue is the weakness in muscles. This symptom can give you feeling like your legs are made of spaghetti, and they are not able to handle your weight. Leg twitching: Your leg muscles can experience a twitching feeling due to the muscle weakness; this condition is known as myoclonic jerks. It is also a common symptom for a person who is diagnosed with fibromyalgia. The brain sends the impulse signals and instructs the twitching muscle to relax and contract as early as possible. Reduced activity: A person can experience a lack of energy or he/she is unable to do regular physical activities. This particular type of muscle weakness can be a result of insufficient blood flow to the muscles. Patients, who are suffering from various cardiovascular issues such as high blood pressure, may experience this type of a symptom. Weak grips: During the weight lifting, an athlete may feel that he/she is not able to get an enough grip of a dumbbell or a barbell. Sometimes, it can be experienced with uncontrolled trembling. These are the apparent symptoms of muscle fatigue. These conditions are known as exercise-induced muscle fatigue. A weak grip along with trembling feeling indicates that a person ends up his/her activity limit. By these symptoms, the muscles protect themselves from further injury. Blisters and rashes appear on the skin after the overexposure to the sun. Skin feels hot and warm when touched. Fatigue, fever, headache, and nausea if the sunburn is severe. Itching, pain, and tenderness on the skin. Burning in the upper abdomen or stomach. Passing gas and belching, abdominal pain. Bloating or feeling uncomfortably full. Vomiting and nausea, acidic taste. Bringing up fluid or food from your stomach. The symptoms of indigestion worsen when you are stressed. Indigestion can be a sign of a more serious health condition and if you have any of the following symptoms, you should seek medical help immediately. Weight loss, vomiting or blood in vomit. Loss of appetite, severe pain in lower or upper right abdomen. A discomfort that may not be related to eating. Black and tarry stools, blood visible in the stools. Red skin plaques covered with silver coloured loose scales. These plaques can be painful, itchy and may sometimes bleed after cracking. In severe psoriasis, the plaques of irritated skin grow and merge with each other, and cover larger areas. Disorder of toenails and fingernails, including pitting and discoloration of nails. There may be swelling and pain in joints due to psoriatic arthritis. Blood may ooze out from an injured part of the body. Redness on or around the affected area. Swelling or inflammation on or around injured area. Tenderness and pain are experienced in the wound. The Heat radiating out of the wound. Infection accompanied by a fever may be caused due to a wound. Immobilization of an affected area. Pus may be formed in an infected wound, which may smell foul as well. Anaerobic Respiration: Muscles require energy in order to move and contract our body parts, and the body cells have to produce oxygen to create an essential energy. When the sufficient amount of oxygen has been supplied, then the associated cell respiration procedure is called aerobic respiration. But, when the oxygen is not enough, the cells bound to respire in an anaerobic process, and as a result, lactic acid is generated. Lactic acid is basically a waste element that causes fatigue and muscle pain. Mineral Deficiencies: Certain electrolytes and minerals are essential for proper muscle functioning. When these important minerals such as magnesium, potassium, and calcium get reduced, then a person may experience sudden muscle cramps and fatigue. Aging: With ageing, our muscles start to lose their strength and become weaker. Exercise can improve the muscle strength and power. But, you should be very careful with your exercise routine. Infections: Infections associated with illness are one of the general causes of temporary muscle weakness and fatigue. Pregnancy: During or after pregnancy, the level of steroids gets increased in the blood, and as a result, anaemia can be developed (lacking in iron). It can cause a muscle fatigue. Sunburn is caused when the body is exposed to the sunlight for too long. The ultra-violet rays present in the sunlight is the main reason of sunburn. People are inherited with a tendency of sunburn. There are three types of UV rays UVA, UVB, UVC out of which only UVA and UVB are responsible for sunburn. When skin is exposed to the sun, it starts producing melanin which helps to prevent sunburn. In some people, enough melanin is not produced because of which skin tends to burn. Male-pattern hair loss may be caused by a combination of genetic factors and male hormones. The cause of alopecia areata is autoimmune diseases. The causes for female pattern hair loss are not clear. The cause of is telogen effluvium (common following pregnancy) is mostly a psychologically or physically stressful event. Eating very fast, eating a lot. Consuming foods very high in fat. Eating when you are very stressed. Drinking plenty of alcohol, smoking. Obesity or being overweight, stress and anxiety. Swallowing too much of air while eating can increase belching and bloating, which are symptoms that are associated with indigestion. Persistent indigestion not related to any of the above factors is called non-ulcer or functional dyspepsia. Weak immunity, in which white blood cells start attacking skin cells mistakenly. Burns due to heat, and chemical. Clotting, or circulation disorders, often caused by arteriosclerosis. Egg: Egg yolk contains arachidonic acid, and according to some studies, it is one of the main fatty acids that are associated with inflammation. Processed foods: Processed foods (such as bacon, granola bars, flavoured nuts, fruit snacks, margarine, microwave popcorn, ketchup, etc.) are related to high-glycemic starches and processed sugars, and they are mostly responsible for muscle pain. White flour: White flour can enhance the muscle pain. Salt: Too much salt intake can develop muscle cramps. Citrus fruits: Citric acid can increase your muscle pain, so try to consume less citrus fruits such as lemon, tangerine, pomelo, bitter orange, etc. Sugar: As per the research, sugar can increase the pain associated with muscle fatigue. Less caffeine and alcohol: Caffeine and alcohol can increase the symptoms related to muscle fatigue. Celery can cause generalised sun sensitivity. It severe the sunburn after eating the celery soup. Avoid taking the figs. Figs are very harmful in the case of sunburn disease. It exposes the blister and causes lots of skin pain. Lime makes the sunburn even more serious. Lime is the most common culprit of sunburn. Coffee, tea, chocolate and cola drinks. Such foods decrease the nutrients in the body and raise adrenal levels. This results in a chain of reaction of producing more androgen, causing hair loss. Avoid spicy and fried foods as they worsen the symptoms of indigestion and trigger heartburn. Cut down on caffeinated drinks like cola, fizzy drinks, tea, coffee, and energy drinks as they will cause the reflux symptoms to worsen. Avoid foods that are too acidic like citrus fruits like lemons, oranges, grapefruit, pineapples, tomatoes, etc. as they worsen the condition of indigestion. Avoid saturated and trans fats and high-fat foods like cakes, pastries, cookies, fries, chips, full-fat dairy, creamy salad dressings, cream sauces, fatty cuts of meat like beef, lamb, pork, etc. as they will cause nausea and worsen the problem of indigestion. Chocolate increases reflux due to the ingredient it contains called methylxanthine. Onions and garlic can worsen indigestion and cause heartburn. Nightshade vegetables including tomatoes, potatoes and peppers. Nitrate-Rich Foods: Blood vessels in one’s body help the chemicals and cells to move. The movement of chemicals and cells are necessary to heal the wound. By consuming nitrate rich food, these blood vessels can get damaged. A condition known as atherosclerosis can be caused by excessive consumption of nitrate rich foods. In this case, fatty plaques can be formed in the blood vessels which can lead to the rupture of the blood vessels and can further delay the healing process. In addition to these issues, nitrate-rich foods can cause different types of bleeding disorders, heart attack, and even strokes. A few nitrate containing foods are various kinds of processed meats like bacon, deli meats, and hot dogs. Try different relaxation techniques: Various relaxation techniques help in fighting the fatigue and weakness associated symptoms as well as give relief from the stress involved with chronic fatigue syndrome. Some of the relaxation techniques are meditation, deep breathing exercises, muscle relaxation procedure, biofeedback, and yoga. Cool Bath, shower, and cold compress can give better relief. Get away from the sun when it feels that the skin is burning. Keep the peeling area moisturised. Wear clothes that fully cover your body. Wear sun glasses and wide brimmed hat. Wear a sunscreen that suits the skin and blocks both UVA and UVB rays. Apply it at least 20 minutes before stepping out in the sun. Take hot oil treatment- olive, coconut, and canola. Let the hair dry naturally. Avoid using a hair dryer. Eat iron rich food. Add protein, minerals in your diet. Thyroid problems or the reason could be genetic. Change your diet as per the cause identified. Getting 7 hours of sleep, one glass of water every hour and eating protein rich foods can reduce hair loss by up to 80%. Hair is made up of minerals which only water can provide. Attend to dandruff as soon as you get it. Prolonged dandruff also leads to hair loss. Drink water or any fluids after you finish eating your meals. Avoid drinking fluids along with your meals. Eat small frequent meals rather than a large meal, as the stomach does not have to work so long and so hard when you eat small meals. Exercise before a meal or give a gap of at least an hour after eating before you exercise. Don’t exercise on a full stomach. When you sleep, keep your head slightly elevated, at least 6-inches above your feet and use pillows to prop yourself. This helps the digestive juices to flow into the intestines instead of the esophagus. Keep your body moisturized because dry skin worsens the symptoms. Oily and thick moisturizers are better. Use a humidifier when it is dry to keep your skin moist. Eat right, exercise, and maintain a healthy weight. Proper cleaning of the wound: One may clean his/her wound with flowing, clean water. Applying the pressure gently on the wound by using a clean sterilized bandage or a clean cloth is advised. Application of the pressure restricts the collagen to ooze out of the wound, above the skin level, as the wound heals. Wound Massage is advised: Gently and evenly massage the area near the wound with clean fingers. Doing this helps the collagen to break down, which further reduce the chances of scar formation or make them less noticeable. Get the dressing changed time to time: It is important to get the dressing changed timely either by an expert or by oneself, to avoid infection. Don’t do the wrong exercise: Don’t exercise without consulting a fitness expert as different people need different exercises for their body. Don’t sleep during the day: Try to avoid sleeping during the day as it can increase the muscle fatigue problem. In the sunburn case, it is better to avoid the following things that can enhance the disease. Do not use the petroleum jelly, egg whites or other home remedies on the sunburn. Do not sit outside in the case of sunburn. Do not apply the sunscreen lotion on the sunburn area. Do not pop the blisters if any blister develops on the skin. It enhances the risk of the infection on the skin. Do not tie your hair till they dry naturally as tying wet hair weakens the roots of the hair. Avoid use of styling tools, chemical filled sprays and colours. Avoid stress as it is one of the key reasons for hair loss. Do not let dandruff continue for long. Avoid chewing your food with your mouth open or avoid talking while eating as this causes you to swallow air, which can worsen the condition of indigestion. Avoid eating too late in the night. Avoid lying down immediately after eating. Go to bed at least 3 hours after the last meal of your day. Avoid eating too spicy foods as they aggravate indigestion. Quit smoking. At least do not smoke just before or after eating as it can irritate the lining of the stomach. Avoid or reduce the amount of alcohol consumption, as alcohol can irritate the lining of the stomach and worsen the condition of indigestion. Never pick or pick your scales or patches. It can worsen your psoriasis. Certain medications like lithium, propranolol, quinidine etc. are known for flaring up psoriasis. Hence, avoid taking these types of medications if you have psoriasis. Dry and cold weather makes symptoms worse in many people. Hence, avoid dry and cold weathers. Hot weather is better, though sometimes it may not be so. Avoid scrapes, bumps, cuts and infections as they can flare up a condition called Koebner's phenomenon. Don’t go out in sun for more than 20 minutes at a stretch. Apply sunscreen before going out. Do not scratch the wounds: Wound may cause itching, but Scratching of a wound can worsen the condition of the wound. Do not pick the scabs: Scabs may protect the bruise from the dirt. Scabs may get peeled off as the wound heals. Do not smoke: Smoking slowdowns the healing process and may cause certain healing complications. Do not let the wound exposed to the air till advised by the doctor: Air exposure to the wounds may cause a decrease in the healing rate of a wound. Certain cells involved in the process may require a moist environment. Do not Stay out in the sun for too long: The healing process may slow down due to the exposure to the UV rays. Do not use Hydrogen peroxide on the wound: It may cleanse the wound, however, causes damage to the new cell growth, which may slow down the process of healing. Apply an ice pack for treating the muscle fatigue. Try natural remedies such as Epsom salt, essential oil like Eucalyptus. Take amino acid rich foods. Take a hot and cold shower. Try to have an uninterrupted sleep. Certain medicines may also cause rapid hair fall. Consult your doctor if you face any such symptom. If you are staying in a high pollution area, wash your hair frequently. Instead of using shampoo for hair wash every time, try using powder of gooseberry, soapnut and Acacia continent (Shikakai). Powder of these three ingredients is easily available in grocery shops. Soak 1-1.5 tablespoon of the powder in half glass of water overnight. Sieve it next day morning and wash your hair. A mixture of dried gooseberry, soap nut and Acacia continent (Shikakai) is the best chemical free hair washing agent. Make sure that you wear loose clothes. Avoid wearing tight-fitting clothes, as they put pressure on the stomach and cause the food to enter into the esophagus causing indigestion. If your indigestion is triggered by stress, then adopt methods to reduce your anxiety and stress such as meditation, relaxation, breathing and biofeedback techniques. Ginger has great anti-inflammatory properties and is a natural cure for gastrointestinal issues and heartburn. Add grated ginger to your recipes, smoothies, drink ginger tea or chew a piece of ginger to ease indigestion symptoms. Add 2 teaspoons of lime juice, ginger juice, and honey and mix in a glass of warm water and drink it after a heavy meal. Drink a glass of buttermilk with a teaspoon of roasted and ground coriander seeds. Coriander seeds have anti-inflammatory and antispasmodic properties that can help if you have indigestion. Eating a teaspoonful of aniseed or fennel after a meal can provide relief from indigestion. Fennel contains estragole and fenchone that remove gas from the digestive tract and it also has antispasmodic properties. Having a pinch of black salt along with a teaspoon of carom seeds will provide relief. Carom seeds are great to boost the digestive system and can cure various digestive disorders. Add a teaspoon of roasted cumin powder in a glass of water and drink for relief from indigestion and stomach pain. Having herbal tea or green tea after a meal is a fantastic way to help digestion. Peppermint oil can help to reduce nausea and prevent intestinal spasms. Drinking peppermint tea can help to soothe your stomach if you have indigestion; however, avoid peppermint if you suffer from heartburn. Drinking a teaspoon of apple cider vinegar in half a cup of water can help in digestion after a heavy meal. Adding a spoonful of baking soda and water and drinking it can help to neutralize the stomach acid and prevents bloating and helps to relieve gas. Avoid fragrances as most soaps and perfumes contain dyes & other chemicals that may irritate your skin. Take bath with lukewarm water and moisturize your body immediately after taking bath. Avoid stress and include yoga, meditation in your daily routine. Avoid certain drugs that may hinder the body’s healing process. Give attention to the hygiene conditions of the wound. What is the frequency of use of NEOSKIN CREAM 50 GM? Have you been prescribed NEOSKIN CREAM 50 GM by a doctor? How do you rate NEOSKIN CREAM 50 GM on price? This page was last updated on 17-07-2018. Fish oils: Fatty acids found in fish oils are beneficial for healing process and inflammation. These are also beneficial for nerve pain and muscle soreness. Vegetable oils: Vegetable oils such as sunflower oil, soybean oil, olive oil, etc. are rich in fatty acids, so they are useful in muscle pain. Green leafy vegetables such as kale: Green leafy vegetables are rich sources of magnesium that helps calcium to absorb in bones properly. Magnesium also helps in relaxing the muscles. Oats: Daily consumption of oatmeal can give you relief from muscle spasms and its associated weakness. Figs: Figs are very useful for regulating muscle functions as well as preventing muscle cramps. Wholegrain products: Whole grain products are beneficial for sore muscles and joints. Kidney beans: They help in relaxing the muscles. Fruits like pineapple, papaya, guava, and mango: These fruits are beneficial in muscle pain relief. Pumpkin, sunflower, and sesame seeds: They are helpful in sore joints. Sodium: Sodium is an essential nutrient in order to maintain a balance of normal body fluid and control a healthy blood pressure. Sodium along with other nutrients helps to generate nerve impulses as well as muscle contraction. So, you can take your sodium intake from the Himalayan rock salt, natural sea, or unprocessed foods. Cheese (feta, cottage, cheddar, blue, etc. ), pickled foods, carrot, beetroot, celery, pesto, olives, sauerkraut, smoked fish, and meat contain a good amount of sodium. But, you should consume sodium in a limited margin. Potassium: Potassium is a major electrolyte and is essential for proper muscular function along with nervous system function. So, you should take potassium rich foods such as banana, avocado, citrus, melon, pumpkin, potato, sweet potato, fish, and dairy. Calcium: Calcium is a crucial nutrient for smooth and skeletal muscle contraction. It is important in generating a nerve impulse. Calcium deficiency can result in impaired muscle contraction. So, don’t forget to consume calcium rich foods such as dairy, edible bones (pink salmon, anchovies, and sardines), canned fish, nuts, seeds, dark, leafy greens and fortified tofu. Magnesium: Magnesium is useful for muscle relaxation and contraction. So, you should take foods like soybeans and legumes, avocado, nuts, bananas, mackerel, whole grains (cereal and brown rice), dark chocolate, seeds, natural yoghurt, leafy greens, dried fruits, etc. Drink plenty of water as your body need to be hydrated in order to overcome the muscle pain. Starchy potatoes and sweet potatoes: To get relief from the sunburn, you can add the starchy and sweet potatoes in your diet. It reduces the harmful effects of the sunburn. Green Tea: Green tea has catechin compounds which save the skin from harmful UV radiation. green tea has tannic acid that helps in soothing the pain caused by the sunburn. Green tea also has anti-inflammatory properties which help in soothing the skin and reducing swelling. Cucumber: Cucumber contains most of the water which keeps the skin hydrated and it is a perfect option to fight against cancer. Vitamin C-rich foods: To keep the skin healthy and hydrated, such foods are the best option for patients. These contain the vitamin C and lycopene which fight free radicals. Such foods include tomatoes, oranges, lemon, gooseberries, etc. Dark Chocolates: If you want to get relieved from the sunburn then dark chocolates are the best and ultimate option for you. It helps in protecting the skin against the harmful radiation. Foods that are low in fat and sugar are best for indigestion such as vegetables like cauliflower, green beans, broccoli, asparagus, potatoes, cucumbers and leafy green vegetables. Oatmeal, whole grain bread, and brown rice, etc. are great to absorb the stomach acid and reduces the symptoms of indigestion. Eat non-citrus fruits like bananas, melons, apples, and pears to reduce reflux symptoms. Lean meats such as seafood, chicken, fish, and turkey help to reduce the symptoms of indigestion. However, make sure you cook them using healthy methods like grilling, baking, broiling, and poaching. Avoid frying. Egg whites are good, avoid egg yolks as they are high in fat and may actually trigger the symptoms of indigestion. Choose healthy fats like walnuts, flax seeds, avocados, olive oil, sunflower oil and sesame oil. Flaxseeds, pumpkin seeds, olive oil, and walnuts. These are plant sources of omega-3 fatty acids. Colorful fresh fruits and vegetables like carrots, squash and sweet potatoes, kale and broccoli, spinach, strawberries and figs, blueberries, mangoes. Fish oil, milk thistle, vitamin D, aloe vera, evening primrose oil and Oregon grape have been reported to ease mild symptoms of psoriasis. Tomatoes: Tomato comprises of an antioxidant called lycopene, which is rare in most of the good foods. Lycopene prevents the oxidation in one’s body. Oxidation may increase the risk of the damage in the cells. Lycopene is also beneficial in boosting the immune system of the body. Thus lycopene has a great potential of diminishing the wound infection’s risk. Broccoli: Broccoli is a phytonutrient rich vegetable. It is antioxidants that may help to reduce the inflammation in the body, along with boosting the immune system. Broccoli is rich in vitamin C, which is a mandatory component of wound healing. Black beans: Black beans is one of the superfoods. It is high in protein content. Consuming a ½ cup of black beans can provide 8 grams of the protein. Saturated fats and sodium contents are less in it. To enhance the process of wound healing, the most required nutrient is protein. Hence, protein deficiency may slow down the process of healing. Soy: Soy is a vegetarian super food. Soybean consists of a wide variety of vitamins, which may boost the immune system. Hence, the immune system helps in the fast recovery of the wound. Chocolate: Chocolate helps to control the blood pressure, which is a primary factor for the ability of the body to deliver nutrients, vitamins, and oxygen to the bed of the wound. Dark chocolate has a lot of antioxidants, which boost up the body’s immune system. The strong immune system helps to fight the infections. Lean ProteinCollagen is one of the proteins that are present in one’s body in ample amount. Collagen is an essential protein, which has a property to knit the tissues back together. Normal protein intake should be 0.8 grams per kg weight. But, to cure a wound one may need a much higher quantity of the protein. One must aim to take 1.5 to 2.0 grams of the protein per kilogram. Examples of lean protein are legumes, fish, turkey, beans, and eggs. Fermented Dairy: For healing a wound, patients are normally prescribed with antibiotics. These antibiotics work to kill the infection causing bacteria along with the bacteria that are good for the digestive tracts and help to digest the food and produce vitamins. These bacteria may also play an important role in boosting the immune system of one’s body. So, to produce the good bacteria one must consume fermented dairy products like yoghurt and kefir. Kefir may contribute 8-12 species of good bacteria just by a small serving, while yoghurt contributes fewer species of the good bacteria, and has lower bacterial-count. Vitamin C rich foods: Vitamin C rich food like bell pepper is an exceptionally healthy food for healing wounds. It helps to cross link the collagen, which is required in a healing process. Especially if one suffers from an incision, then bell-peppers should be consumed. Some other foods that provide Vitamin C are citrus fruits, broccoli, kiwi fruit, kale, and guava. Zinc rich foods: Zinc helps in boosting the immune system of the body, it also activates and develops body immunity cells. Hence, it plays a vital role in the healing of the wounds. Zinc also helps in cell growth and protein synthesis that is a must for the healing of a wound. Some of the zinc rich foods that one must consume, when trying to heal wounds are seeds, nuts, oyster, liver, lamb, and beef. 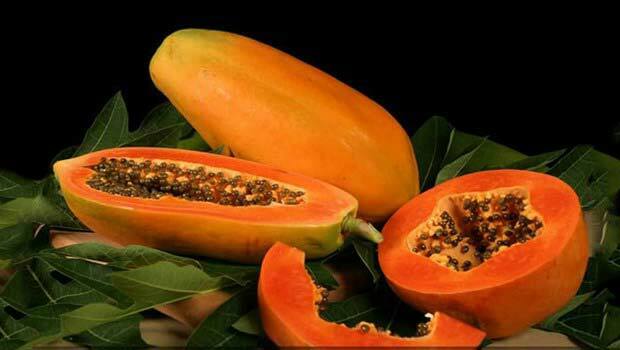 Papaya and pineapple: These two fruits consist of protease enzyme, which helps to body in breaking and digesting protein. These enzymes may help to lessen down the inflammation and swelling. Hence, these fruits are really beneficial for the healing process of the wound. Q1) Is NEOSKIN CREAM 50 GM effective? Q2) What is the frequency of use of NEOSKIN CREAM 50 GM? Q3) Have you been prescribed NEOSKIN CREAM 50 GM by a doctor? 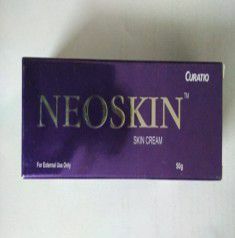 Q4) How do you rate NEOSKIN CREAM 50 GM on price? Q5) What is your overall rating of NEOSKIN CREAM 50 GM? Is NEOSKIN CREAM 50 GM effective? Need to know about substitutes / similar medicines like NEOSKIN CREAM 50 GM. Click here. What are the uses of NEOSKIN CREAM 50 GM? What are the side-effects of NEOSKIN CREAM 50 GM? What is the composition of NEOSKIN CREAM 50 GM? What are the contraindications of NEOSKIN CREAM 50 GM ? What are the Do's Of NEOSKIN CREAM 50 GM? What are the Dont's Of NEOSKIN CREAM 50 GM? What are the symptoms where NEOSKIN CREAM 50 GM is used? What are the causes where NEOSKIN CREAM 50 GM is used? What are the best food interactions of NEOSKIN CREAM 50 GM ? What are the worst food interactions of NEOSKIN CREAM 50 GM ? What are the substitutes of NEOSKIN CREAM 50 GM ? Some useful tips for NEOSKIN CREAM 50 GM ?